The CPAP machine is the most common type of PAP machine. As the name suggests, the CPAP machine works to provide a constant or “continuous” level of positive airway pressure throughout your sleep cycle. The constant pressure allows your airway to remain open, even when the mouth, tongue, and airway muscles are relaxed. However, patients who use CPAP often have difficulty with that fact that they have to wear a mask all night. This is especially difficult when beginning to use the machine. Nevertheless, with commitment, this problem is usually resolved as time goes by. Below are the solutions to the 3 most common problems a patient faces when using CPAP for the first time. Trouble sleeping with the CPAP machine is completely normal, especially if it is your first time using the machine. After three to four weeks, you will get used to it. If not, you should talk to your doctor to determine if there are any other reasons that cause you to have problems falling asleep. This usually happens when you received your CPAP mask as a part of your insurance plan. Sometimes, it is the insurance company that orders and ships the CPAP machine to you, without your input. Solution: Contact your insurance company to inquire about obtaining your own mask. Going directly to a CPAP retailer and having them fit the mask to your face will help you decide which one is the best for you. You may also consult a respiratory therapist to help you properly fit the mask. This is usually done to prevent air leaks from the mask, or to compensate for a mask that is ill-fitting. Solution: The mask should not be fastened too tightly because it will cause sores on the face and simply be uncomfortable. Adjust the straps so that the mask is stable, but that the straps are not constricting. A therapist or retail representative trained in CPAP should fit the mask correctly for each patient. Solution: See your respiratory therapist or vendor for assistance in ensuring a proper fit. A dry mouth may indicate that you breathe through your mouth when you sleep, causing air to leak. If you are using a nasal mask, then the humidification provided by your humidifier becomes ineffective and useless. 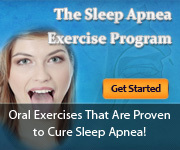 This also lessens the benefit you get from your CPAP machine. Chin straps can help keep your mouth closed, reducing the amount of air that leaks. If this doesn’t solve the problem, then you may try a mask which covers both your nose and mouth. If you are using a nasal mask, then switching to a full-face mask can be helpful, as it can reduce the amount of air that leaks, similar to using a chin strap. If you are already using a full-face mask, yet the problem doesn’t go away, then you may need a heated humidifier, which provides more effective moisturization. Another problem associated with wearing the CPAP mask is the claustrophobic feeling experienced by the patient. One way of solving this is by wearing the mask hours before you sleep, while doing any activity that requires attention, such as watching TV or reading. By doing this, you will get used to wearing the mask when you are ready to sleep. If this does not help, consider trying a different mask. These are only three problems that a first-time CPAP user experiences and there will be more. However, you shouldn’t get discouraged of the fact that you may face additional problems since there are solutions to each one you may be facing. And since CPAP has brought relief from sleep apnea symptoms for thousands of sufferers, it’s worth being patient with adjusting to the therapy to find out if it works for you too. Interested in learning more about solving problems related to CPAP? Please click here to find out how you can live with CPAP comfortably.